Music Publishers vs. Record Labels. The Difference? 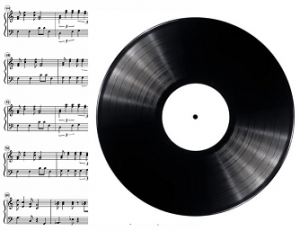 In this post I share a chapter from my recent book Music Rights Without Fights and examine the differences between the two key music rights owners, namely music publishers and record labels. This is a fundamental principle for marketers to grasp in order to successfully license music into brand campaigns. What Do Music Publishers and Record Labels Control? Note that I said featured recording artists above. That’s because the rights of the non-featured artists (or session musicians) are often licensed by their performers union. This is a key tenet of copyright law. The creator controls their work until they assign it elsewhere. Generally speaking, in copyright law, the party who paid for the recording session owns that recording – though they don’t necessarily have the right to commercially exploit it without a contract with the artist. In the 1980s and 1990s, for an unsigned artist, that party might have been their manager or a record producer working speculatively. However, given it’s been possible for at least a decade to make a perfectly decent record with nothing more than a laptop and a microphone, most unsigned artists will control their own recordings. Whatever version of a song you want to use, you must get a licence from the music publisher that controls it. In the advertising sync licence market, music publishers have more power than record labels, as you can always re-record a song or possibly find a cover version if you can’t license the original artist recording. I mentioned earlier that the division between the careers of songwriters and artists changed with The Beatles. Before then, artists were perhaps just entertainers or even “turns” – their careers might be short, but it was the songwriters and their publishers that had the real power. That changed in the 1960s and continued certainly through to 2000. During this period, record labels were seen as the dominant force. Financially, their profits were far larger than music publishers given that the record label’s share of each physical unit sold vastly exceeded that paid out to the artist (“artist royalty”) and the music publisher (“mechanical royalty”). This reached its climax from the early 1980s to 2000 when record labels sold CDs at a higher price than vinyl though with lower associated manufacturing costs. Vast profits were made which fuelled the well documented hedonistic excesses of the recording industry. In this period, touring was still a potentially loss making exercise to promote album sales. With such large profits, record labels could afford to take huge risks on new acts – hence the anecdotal label practice of “Sign 10 artists, lose money on 9 and make it all back and more on the 10th”. So, what does this mean for record labels? For record labels, what was once just “secondary income” is now a key element of their business i.e. the licensing of recordings into commercials and branded online video is of fundamental importance to record labels. Carefully managed, brands and agencies can use this as leverage in negotiation. The fragmented music industry has always been riddled with internal conflict. That’s why until relatively recently, with the advent of trade body UK Music, it’s rarely had a strong lobbying voice with government. UK Music positions itself as a campaigning and lobbying group which represents every part of the recorded and live music industry. It’s supported by all the individual trade bodies which represent both independent and major record labels, music publishers, artist managers, session musicians, songwriters, record producers, featured recording artists, booking agents, promoters, music venues and festivals. Record labels believe they deserve the lion’s share of profits from any exploitation of a sound recording that embodies the song. Music publishers obviously disagree. There’s an on-going debate about downloads and streaming whereby publishers are trying to claim a much larger slice of revenue. It reinforces the need to form strong relationships with music publishers, because they have more power than record labels in the sync licensing market. I’ve mentioned sync and synchronisation a number of times – We’ll examine this in more detail in the next chapter, but as a marketer you need to understand that this means the act of synchronising music (song and recording) against moving images. That’s what you do when you (or your agency) dub music onto your commercial or online video i.e. putting audio to visual content. When considering the roles of music publishers and record labels, what does synchronisation mean for marketers? • Music publishers grant sync licences for songs on behalf of their songwriters. • Music publishers must warrant that they have the right to grant the licence and own or administer the song they are licensing. • Music publishers must warrant that the song is wholly original and doesn’t infringe the rights of third parties. • Music publishers must indemnify the licensee (that’s your brand or your agency) against their breach of that warranty. • Record labels grant sync licences for recordings on behalf of their featured artists. • Record labels must warrant that they have the right to grant the licence and own or administer the recording they are licensing. • Record labels must warrant that the recording is wholly original and doesn’t infringe the rights of third parties. • Record labels must indemnify the licensee (that’s your brand or your agency) against their breach of that warranty. A quick note on warranties and indemnities: Whilst music publishers and record labels will almost always include a licensor’s warranty in their licences, it is common practice to limit the indemnity to the level of sync licence fee paid by the licensee i.e. the brand or its agency.